LIATI - Love Is All There Is. Love is the reason. Love is the answer to all questions. Love is who you are, who we all are. That is what our hearts are when we open to them. Heart symbols and shapes can be found everywhere, in nature, and all around us. Allow yourself to see them and use them. Let them be reminders to connect to and acknowledge your own heart. Let them be reminders that to experience Love and Joy is why we are here! And remember Love is what you are. Share Love whenever you can - and share it with You! True Love allows two to become one, yet remain themselves. Holding a vision for the World of Unconditional Love. 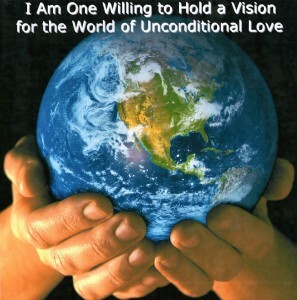 When we view ourselves and others through our hearts, then we do reshape our world. Where you can find Love whenever you need it. And where you can find resources to help you stay ‘in Love’. Because, We Love You: Just as you are with no judgement, no conditions. And we invite you to join us and spread Love to yourself, to those close to you, and around the world. Now allow yourself to feel loved as you read some Love Notes from us to you. To truly Love another is to allow them to exalt themselves, or to be whatever they can be and to accept them just as they are - always, and to allow their Soul journey to unfold without hindrance or judgement. When you first see Love or first see a new Love, it is like seeing a raw gemstone. When a gem is found only part of it's beauty can be seen, only a hint of it's depth can be perceived. To bring out the full depth of it, the gem must be nurtured and cleaned of the outer 'shell' which hides it full beauty, then as it is appreciated and polished, each time one looks into it, one see new facets, aspects the were always there, just hidden. As it is with Love, and yourself the more you feed Love, the more you shed your outer mask to allow yourself, your true beauty, your Soul to shine through, the more Love shines back at you, the more Love you attract. Love is a door opener, this can be seen or felt when you open up to another, when you feel the first calling of Love. This is when Love is opening the door to your heart - not just for the other person, but also for you. And by living in Love, many doors are opened: like the door to a stress free life. Why? Because stress is reaction to the fears you have in your life and when you allow Love in then there is no fear, so the stresses just fade away into light. "Calling all lovers, I'd like to say together we are amplified" - So a line from a song goes. And guess what - when we stand together in Love we are amplified - Love is amplified. To join together with Love, start with yourself and allow Love to grow from there, allow the wave to spread and join with the waves from others, then The Love Wave will spread around the world, touching all hearts. "To love a person is to learn the song that is in the heart, And to sing it to them when they have forgotten." Anon. What a fabulous saying, and a way of being, as it is something everyone can do, and do it often. As we all have the perfect person to practice on..... So who is the perfect person to practice on ? ... I'll give you a clue ....... Look in the mirror - yes we all fall out of love sometimes, it's part of life! Liati, "Love springs eternal", a phrase that has inspired many to write, paint and draw beautiful images and poems. What does it mean to you? Could it be a way to live our lives - in the knowledge that Love is there, under, over and around everything that we do? Love is a spring that never dries up, clear and refreshing, a spring that we can all choose to drink from whenever we need or want to. Where are your special places? take me to the places in your world where you feel you want to dance, sing or cry with joy, the places where you can risk letting the world break your heart…. If you can do that, I will take you to the places where your heart opens, your Love flows naturally, fully and deeply just as it is meant to. Thank you for dropping by, we hope you can join us in Love every night at 8pm.